The Tillamook girls basketball continued its recent swoon, literally giving away a 36-33 decision at Astoria Friday when they turned the ball over 33 times. This time, it was a fourth quarter collapse that allowed the Lady Fish to rally for a 14-8 edge to give the hosts the win. 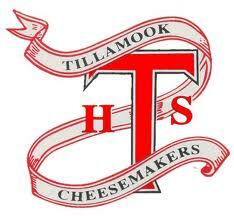 Tillamook entered the final quarter ahead 25-22. After expanding the lead to 27-22 early, it was the Lady Fish who took over. With 2:28 left, Astoria’s Chloee Hunt hit a three-point shot to give the Fish the lead, 30-28. Astoria hit four free throws in the final minute and a half to seal the win on a night when the Fish hit just 10 from the line in 30 attempts. The same problem that has plagued the Lady Mooks in recent weeks allowed Astoria to get its first league win and dropped Tillamook to the bottom of the Cowapa League standings with an 0-2 record. Inside strength at the posts has disappeared since Cowapa League play started, according to the coach. “Our two posts only combined for 14 points and we aren’t going to win many ball games when they score that between them,” coach Danielle Weber said. “We have to win the two areas where our strengths are – which is post play and rebounding. We didn’t take care of those two things Friday. The Lady Mooks had to look for their first win at 13th ranked Banks Tuesday, which got off to a 1-1 start, after losing Friday to Seaside, 44-30. “We have two tough games this week (Banks and Scappoose) and we will do our best to get prepared for them,” Weber said. Against Astoria, the Lady Mooks had no players scoring in double figures, but they had three finish with eight points – Jordan Zweifel, Kaylin Hammond and Katie Sherer. Jamie Kottre added six, while Taylor Woods had three. The team also lost to Valley Catholic 55-32 in the league opener.